Area rug cleaning done in our cleaning plant at ABC uses special rug rinsing and wringing equipment that is specifically designed for area rugs. 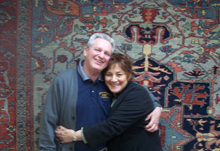 After you bring your machine-made nylon, polyester, olefin, wool, acrylic, and synthetic blended rugs to our plant, our staff will treat your rugs as if they were fine hand-made rugs. All area rugs are subject to our pre-cleaning inspection which is explained to the customer. Rugs are pre-inspected for any possible problems that may arise while cleaning such as dye runs, insect pests, urine, etc. Rugs are thoroughly 'dusted' to remove dry particulate soil. Dyes are stabilized for washing. The rug is scrubbed with a gentle detergent to loosen soils and oils. Fringes are treated and then rinsed thoroughly. The rug is flushed and thoroughly rinsed of all residual cleaning and treating solutions. The water is wrung out through 16' rollers. The rug is then brushed to set the pile in the appropriate direction. The rug is then dried in a temperature-controlled drying room. After they are completely dry, the rugs are then inspected. If they do not pass inspection, they are washed again at no additional charge. 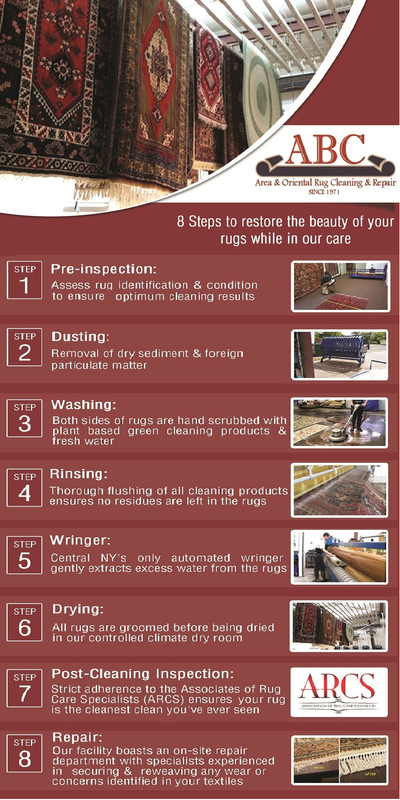 How Long Does Your Rug Need to Be in Our Plant For Cleaning? 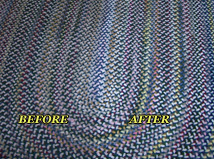 Our normal 'turn-around' time for our area rug cleaning is approximately 3 to 5 business days. This varies depending on the soil level, the fiber type and the type of cleaning process. How Should I Care For My Area Rug(s) between Cleanings? Always place a high quality pad under all rugs, being careful to choose the type of pad that is suitable for the type of surface on which the rug will be displayed. The pad will aid in the prevention of premature wear or damage caused by regular traffic. Please see our rug pads for detailed information on the underlayment we recommend and sell. Don't forget to download our free Spotting Guide (form on the right) to learn how to remove most spots with ordinary household solutions. Always address any spills immediately with a white cotton towel or other absorbent material. Absorb or tamp as much of the liquid up as possible. Once you are sure no more of the spill can be soaked up, use a gentle, preferably neutral, detergent solution to attempt a spot removal. Please be sure to download our ABC Spotting Guide for the appropriate mixtures and directions for specific spot removals. Do not use any over-the-counter or super market cleaners or spotting agents on your rugs as they can loosen dyes, remove dyes, or, in some cases, severely damage the fiber. If you have any questions, Please CALL OUR OFFICE FOR FREE GUIDANCE! Vacuuming on a consistent basis will aid in the longevity of all your area rugs, both natural and synthetic fibers. Wool rugs especially, due to the composition of the outer layer of the wool fiber, trap large amounts of dry particulate matter. This abrasive and damaging matter can be removed by vacuuming. In fact, up to 80% of dry particulate matter can be removed from a rug through regular vacuuming. During ABC area rug cleaning, the rugs are thoroughly vacuumed both before and after cleaning. Be sure to keep vacuums away from fringe, as, over time, the brush rolls can "chew" up the fringe. Please note: When vacuuming oriental rugs and other area rugs with fringe, vacuum from side to side (opposite the fringes). This will save the fringes from being pulled up into the vacuum which can damage the fringes and even the vacuum. We have fringe fringe rakes for sale in our plant, which can be used to remove soil from the fringes and also straighten them (without having to bend over!). Rugs should also be rotated periodically to balance out sunfading and to keep the traffic pattern distributed to all areas of the rug. Although moths can feed on mixtures of natural and synthetic fibers, they cannot feed on materials made solely of synthetic fibers. Moths have been found infesting synthetic fibers which have pollen, hair, dead insects, and dried animal remains on them. Live plants and flowers requiring water should never be placed directly on any rug. Dampness from the bottom of the pots will cause mildew and rot, gradually destroying the fibers and foundation of the rug and resulting in drastic damage to the rug (see Dry Rot). Plants should be in a stand, preferably on wheels, with space between the pot and the rug, allowing air to circulate. Use a container under the flowerpot to avoid water dripping onto the rug. After going through the area rug cleaning process in our plant, synthetic rugs can be stored anywhere household furnishings can be stored but should be wrapped in paper before storage. When calling to schedule a pick up, please let us know any concerns you may have such as pet odors (urine, vomit, dander), insects (moths, carpet beetles), etc. 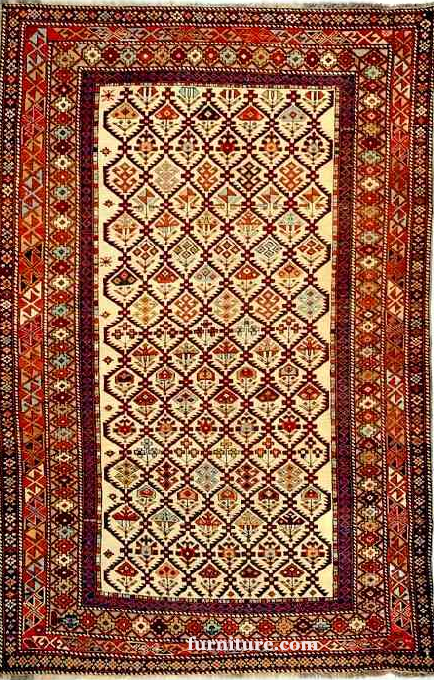 If, at the time of the pick up, it is determined the condition of a rug is questionable and any work done may exceed its value, a $200 deposit will be required before pick up. If the customer declines the work after the rug has been brought to our office, a portion of the deposit will be applied as labor and a disposal charge and the rest will be returned to the customer. If the customer has the rug serviced, the $200 deposit will be subtracted from the final invoice. If, at any point during the pick up, ABC personnel is unsure whether the rug is worth cleaning, a call will be made to the office. Rugs must be rolled and ready for pick up. A labor charge will be applied to any pick up which requires furniture moving. Pick up and Delivery is free (minimum dollar amounts may be required). Rugs picked up and delivered are normally not eligible for any other discounts. Please check our latest discounts if you have any questions or call our office at 607-272-1566.